Happy Halloween! How can you scare a project manager and their team? Don’t even try “boo”, it won’t face them. If you really want to frighten them you just need to say two words: project failure. Why is it so scary? Because there’s this thing called ‘scope creep’, can cause the project’s schedule to derail, overrun its budget and end in a disaster. Just in time for Halloween, we’ve collected some of the scariest project management scenarios for you. So take note and don’t be that kind of project manager, i.e. one who causes fear and terror in their teams by turning projects into horror stories. 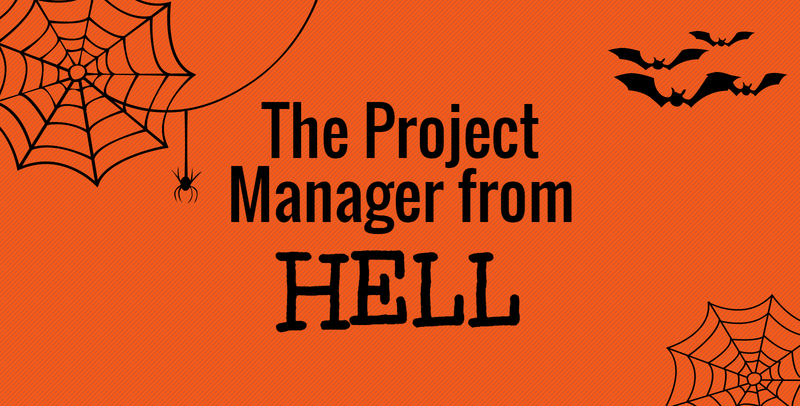 Project Management Horror Story: The Project Manager from Hell - InLoox • Copyright 1999-2019 © InLoox, Inc. All rights reserved.